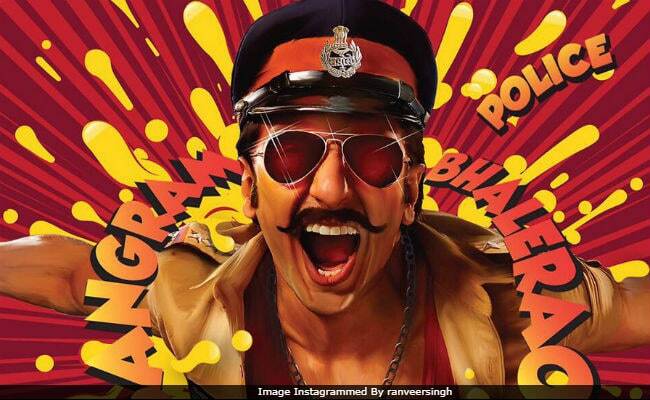 Actor Ranveer Singh, who plays a cop in Rohit Shetty's Simmba, will start shooting for the film after completing Gully Boy, his next film with Alia Bhatt. Mumbai Mirror reports that Ranveer will first start training for the action sequences, ahead of the film's first schedule. Simmba will see Ranveer Singh as a cop Sangram Bhalerao. "Ranveer and Rohit met recently at the filmmaker's office for a four-hour narration after which the duo bounced ideas off each other. Ranveer is scheduled to starting filming Simmba right after he wraps up Gully Boy in April. It will be a mad, fun, and entertaining ride and he's excited to finally work with Rohit," source told Mumbai Mirror. A couple of hours ago, Ranveer shared a picture with Rohit Shetty beside the film's poster and wrote, "With the bossman." Of the film, Ranveer earlier told news agency IANS, "I feel like I have been honest with my work and I have actually earned the distinction of being Rohit Shetty leading man. I am very excited about that. The kind of films I grew up too and the kind of film that reaches out to a broad spectrum of audience, I am very lucky to have that film coming up." Will Simmba be different from other cop films like Ajay Devgn's Singham and Salman Khan's Dabangg, Rohit Shetty told PTI, "This will always happen. Whenever a cop film will be made people will either draw comparisons with Dabangg or Singham. If the look and part is serious then Singham, if entertaining then Chulbul Pandey. Our cop (Ranveer) is not a Chulbul Pandey kind of a character," Rohit Shetty said, who has directed Singham and Singham Returns. Ranveer Singh was last seen in the hugely-successful film "Padmaavat," which starred him as Alauddin Khilji. Deepika Padukone played Rani Padmavati and Shahid Kapoor featured as her husband Maharawal Ratan Singh. "Padmaavat", directed by Sanjay Leela Bhansali, earned over Rs 300 crore at the box office. Ranveer started filming Zoya Akhtar's Gully Boy in January.